Congratulations to Sara B. Elfgren who is nominated for the Nordic Council Children and Young People’s Literary Prize for her acclaimed YA novel IN DREAMS (Norra Latin). At a presentation at the Bologna Book Fair the Nordic Council announced the nominees for the Nordic Council Children and Young People’s Literary Prize. “In Dreams (Norra Latin) is a profound work in which Sara B. Elfgren weaves history, myth, and magic into day-to-day realism. In engaging narrative, she gives flesh and blood to the anxiety and dreams of today’s teenagers and their struggle to stand on their own two feet instead of in the shadows of others. They agonise over bullying, destructive relationships, power struggles, and social exclusion. Feelings and fears are cleverly and skilfully portrayed, while the descriptions of Norra Latin with its national romantic wall paintings, winding staircases, and creepy attics are sharp as a razor. The confluence of past and present also shows that certain problems, desires, and structures remain intact despite the passage of time. In terms of genre, this is a novel of fantastic realism, and it is the interplay between its pinpoint realism and more magical elements that make it so strong. Sara B. Elfgren is unusually adept at creating excellent literature from this interplay – the realism becomes sharper and all the more credible thanks to the elements of fantasy, while the fantasy becomes even more fantastic because the realism is so realistic. The real Norra Latin has been a conference centre for some time now, but for anyone who has read Sara B. Elfgren’s novel, it will forever remain a theatre school. The Nordic Council Children and Young People’s Literature Prize was awarded for the first time at a session at the Nordic Council 2013. 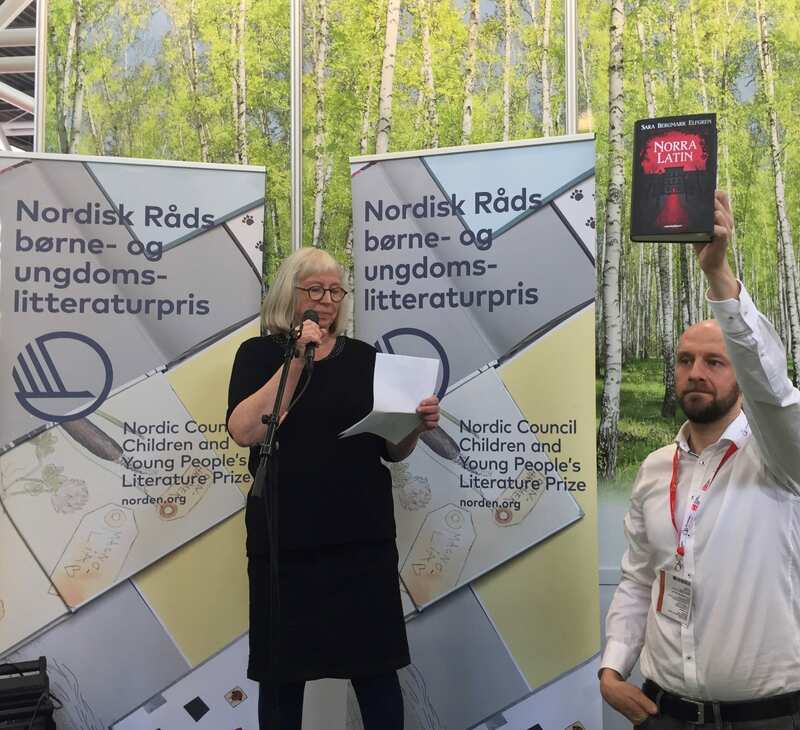 It represents the culmination ot the cultural minister’s long held ambition to boost the profile of literature for children and young people in the Nordic region.